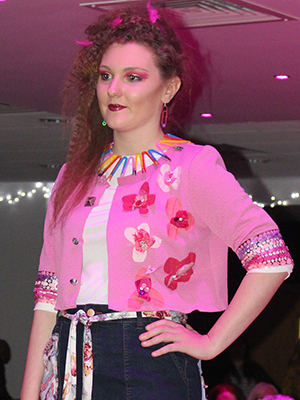 Over 40 learners have come together for a charity fashion show at Nelson and Colne College, which raised more than £1,000 for Cancer Research UK. 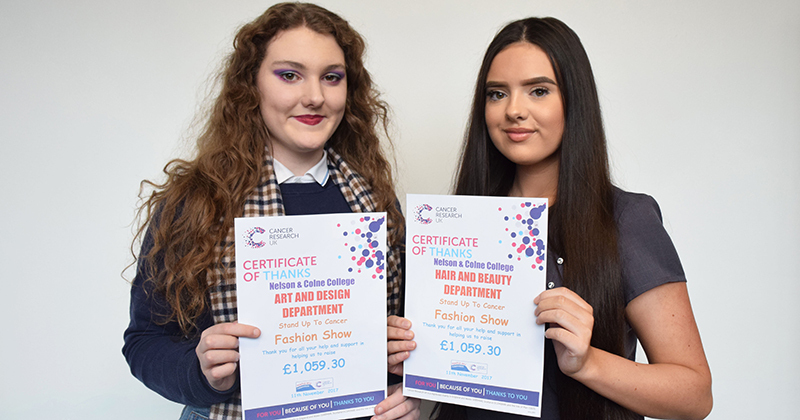 A-level and vocational students from the college’s art and design, hair and beauty, and creative and media departments put their skills into practice to bring the Stand Up To Cancer fashion show together, which was attended by 100 guests and raised £1,059 for the charity. The event featured jewellery and clothing designed by students, alongside collections from the Clitheroe branch of M&Co and a local clothing store, Blue Ginger.